JACKSON, Mississippi (AP) — Some Mississippi Valley State University alumni are complaining about the nomination of William Bynum to be the university’s next president. Roosevelt Yarbrough, president of Valley’s alumni association, said at a news conference he wants the school to be led by an alumnus, and says he’s worried that Bynum doesn’t have any experience working for public universities. “Nobody’s going to convince me we don’t have qualified Valley grads out there who can lead the university in the way it needs to go,” Yarbrough said Friday. College Board officials announced Bynum was their sole finalist last week. On Tuesday, he’s supposed to meet in Itta Bena with university groups, with trustees then voting on naming him. 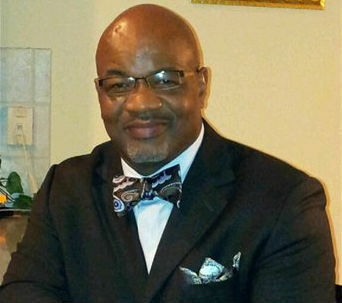 Bynum was vice president of enrollment and student services at Morehouse College, but took a leave of absence from the historically black all-male college after a new president took over. Bynum says the friendly split came because the new president had different plans for the institution. Bynum said that Morehouse’s new president, John Wilson, is supporting his bid to become president of Valley. Morehouse did not respond to a request for comment Monday. Yarborough said he’s concerned that Bynum is coming from a private college. But Bynum said he worked for nine years at Lincoln University, a state-aided college in southeast Pennsylvania. He said that Valley supporters shouldn’t be scared off by the fact that he attended Davidson College and Duke University, both selective schools in North Carolina. “They have no idea that my background is quite different from the majority of people who attended those institutions,” he said. Alumni complained that Bynum had said Thursday when he was announced that he had consulted with other people about joining him at Valley. Bynum, though, said his first mission would be to listen to the university’s students, faculty and supporters. Yarborough complained that because the College Board won’t say who the other candidates are, it makes it hard to judge whether Bynum was the best choice. Board members named Donna Oliver president in 2008, rejecting a group of that was pushing longtime veteran Valley administrator Roy Hudson. Oliver’s contract was not renewed last year. Valley is struggling with falling enrollment, and some of its buildings are in bad shape. One dormitory had to be closed recently after the bricks fell off it. Some alumni fear that the College Board is trying to neglect Valley to death, saying it’s a stealth version of the proposal that Haley Barbour floated to merge Mississippi’s three historically black colleges. That plan went nowhere in the Legislature. “Are we in a mode where we’re trying to close the university or are we in a mode where we’re trying to enhance the university?” Yarborough asked.